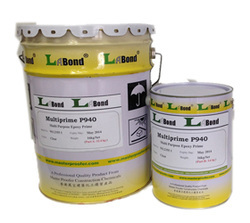 Multiprime P940 is a clear polyamide cured epoxy resin based quick drying prime sealer with excellent resistance to chemicals, oil and contamination. It provides excellent adhesion to most substrates including concrete, wood, steel, so as to enhance their anti-abrasion and non-dust attraction properties. It could serve as either finish coats or priming coat to receiving onward finish.